It is okay to start scrambling for romantic ways to spend Valentine’s Day with a special someone — you have exactly two weeks left. With Chinese New Year around the corner, this year’s Valentine’s Day is rather a tricky overlap with many gatherings, reunion dinners and catching up with friends. Perhaps some of you have already planned a romantic getaway for two to exotic beaches in the Maldives or a simple staycation in the city just to spend the day together. But there are many other ways to create those beautiful moments together. Try hiking or taking part in an art jamming class together. Even better, use this day to redecorate the house by adding plants or a new print in the living room to change the mood at home. If you don’t want the trouble of preparing a dinner for two (cooking may not be your cup of tea), treat your other half to a romantic meal — the perfect ending to Valentine’s Day. We’ve compiled seven individually themed dining experiences from afternoon tea to romantic dinners under the stars to help you plan the sweetest night come 14 February 2019. Go on a culinary journey with a Valentine Omakase specially crafted by Nobu’s executive chef Philip Leong and his kitchen team. Impress your other half with an indulgent 7-course menu featuring some of Nobu’s signature Japanese-Peruvian flavours. 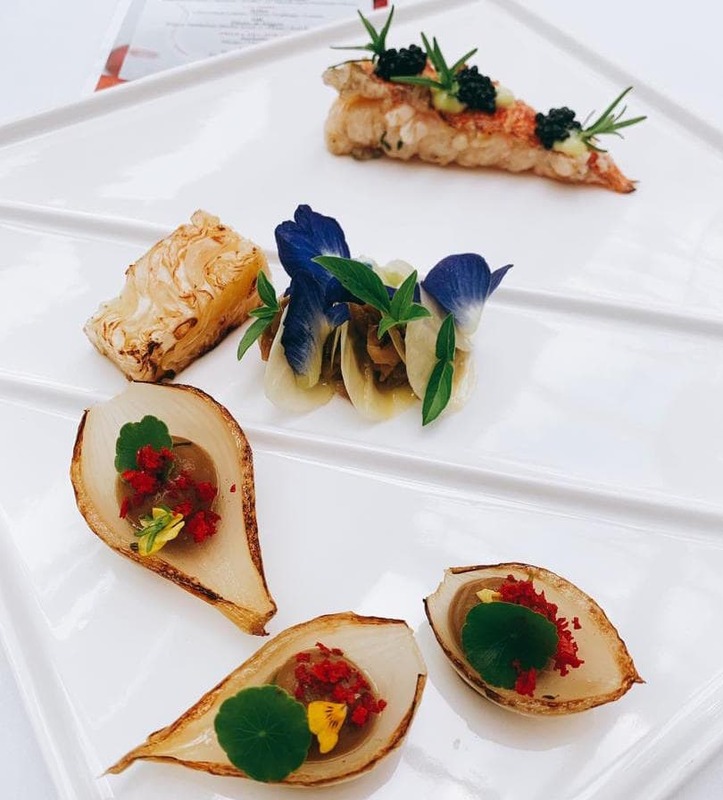 Among some highlights are Cured Salmon with Caviar, Grilled Wagyu Beef and Bottarga with corn cream, dry miso pop corn and roasted romanesco, Fresh Water Prawn with butterfly pea flower dressing, and the Truffle Rice. The romantic meal ends with the stunning Strawberry Pavlova. Place: Nobu KL offers the best of both worlds, the private setting of upmarket restaurant and a panoramic view of the cityscape. Come early and witness the beautiful sunset in an ombre of glorious orange and deep purple. 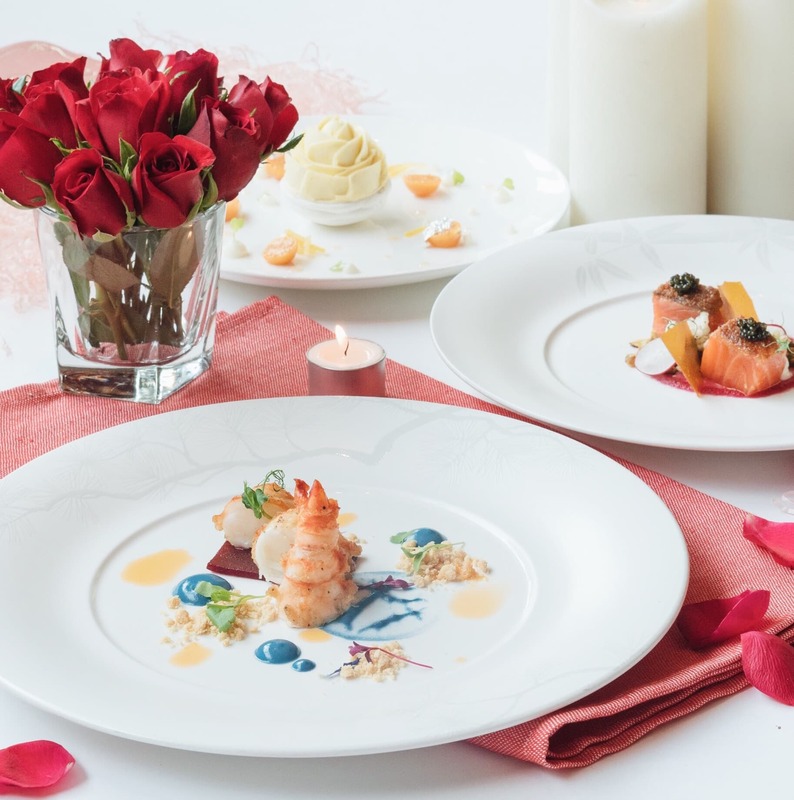 If you’re planning to celebrate Valentine’s Day with a bang or perhaps thinking of proposing to your partner on this special occasion, Marini’s on 57 guarantees the perfect mise-en-scène. Make a booking and let the team do the work for you. Complete the night with a special 7-course meal that comes with a surprise in the end. The menu is heavy on Italian cuisine, so expect simple ingredients with rich flavours. Start off with the Cauliflower and Caviar, and Fegato Grasso (pan-seared duck liver with port wine and sultanas) before moving on to a pasta dish. There are two choices for mains – charcoaled lobster or wagyu tenderloin. 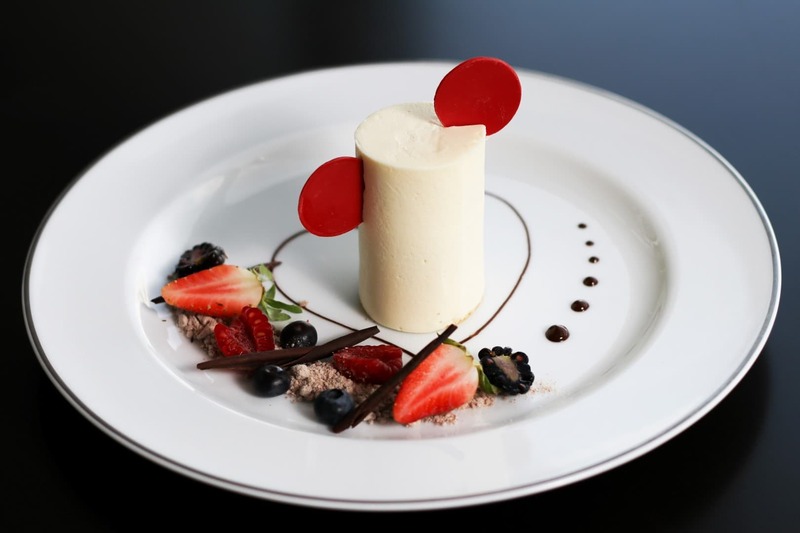 Finishing it off is a duo of sorbet and a special Valentines Day dessert comprising textures of strawberries. Place: Want to feel like being on top of the world? Marini’s on 57 brings you an elevated dining experience high up the 57th floor overlooking the twin towers and the rest of KL. The restaurant, known for throwing great celebratory parties, will be decked in red balloons and flowers. If you plan to stay on, the party continues with music on the dance floor. 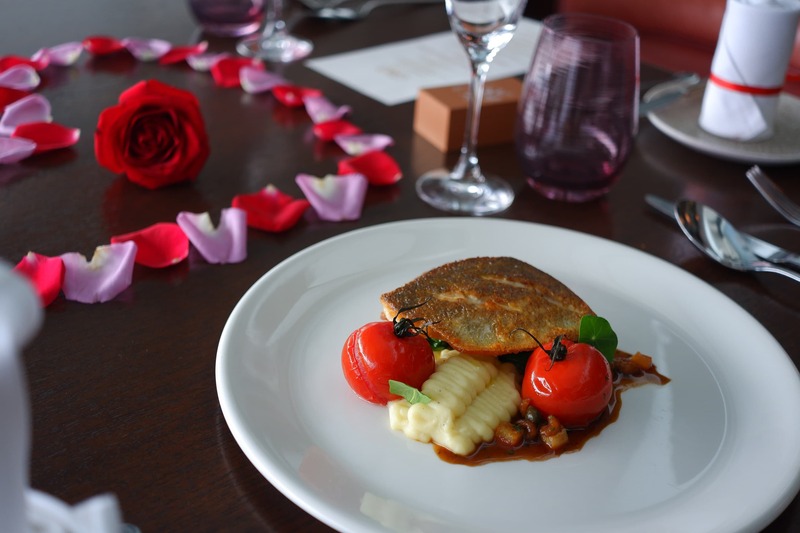 Treat your loved one to an elegant dining experience amid the beautiful surroundings of Le Meridien Kuala Lumpur with special menus available at their flagship restaurants, Prime, Favola, Gastro Sentral and Latest Recipe. Prime serves up a 5-course dinner menu with a carnivorous feast featuring the best cuts while Favola puts together a 4-course menu with a mix of modern European flavours. But we’d like to draw your attention to Gastro Sentral with its Adam & Eve’s Valentines Day 4-course set featuring modern Asian-inspired dishes. Grab the Cupid Heart Cake from Art Cacao if you’re thinking of a last-minute surprise. 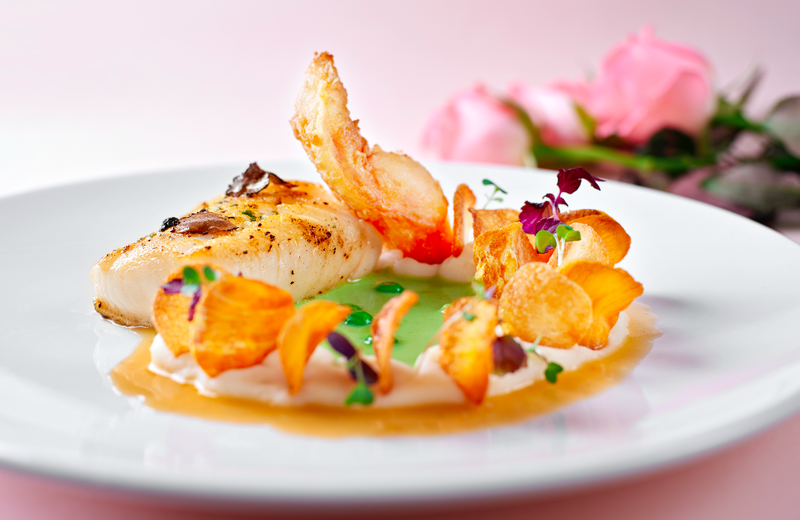 Place: Each restaurant in Le Meridien will be offering something different this Valentines Day. But expect a beautiful setting at Favola as it transforms into a romantic getaway to Venice with beautiful rustic Italian atmosphere. If your other half loves eating Japanese food and the environment of a sushi restaurant is not really remarkably romantic, head to Cé La Vi for a Japanese-inspired menu and contemporary dining experience. Start off with edamame gazpacho with marinated red prawn, followed by two servings of cold starters. Lobster bisque with wasabi is next before three main course options comprising Australian wagyu, pan-fried duck breast with kimchee puree, or tuna cheek with miso sabayon and ponzu. And to top it off is a Japanese choux pastry with green tea crumbs, wasabi ganache and black sesame ice cream. Place: Barely three months old, Cé La Vi is a place you must visit at least once to experience the upbeat music and happening crowd. We always recommend you to find a table outside to enjoy the natural breeze atop Ilham Tower, which is designed by Foster + Partners. Hilton Kuala Lumpur’s modern European brasserie Graze will be hosting a 4-course menu, which is curated by in-house Chef Darius Seitfudem. Be greeted with a welcome cocktail – True Love – followed by the first course of freshly shucked oysters or tuna tartare, a soup and a choice of main comprising grilled sea bass or braised tenderloin. Enjoy the rest of your evening with a great selection of wines. Allow their sommelier to help you choose the perfect wine for your meal. Place: Look no further if you’re up for a simple yet glamourous space to dine this Valentines Day. Indulge in a romantic candle-lit setting with a team of experienced chefs and sommeliers to help make the night perfect. Ladies will also be gifted with a stalk of red rose and artisanal chocolates. Impress your date with a classically romantic candlelight dinner under the stars at Grand Hyatt KL’s THIRTY8 – and we don’t have to tell you how magical that’ll be. On arrival, enjoy a glass of Rose Fairy cocktail and immerse in its 5-course dinner comprising smoked salmon tartare with hibiscus and black sesame, seafood bisque with papaya ravioli, lemon grass and pineapple sorbet, and a choice of main between Australian Black Angus beef tenderloin and Alaskan cod fillet. Complete the meal with a beautiful white chocolate and raspberry jelly parfait. There is also a vegetarian option that is equally delicious as well featuring dishes like beetroot salad, watermelon and vanilla gazpacho, as well as a sour cream and chives risotto. You can also book bespoke rose bouquets through Grand Hyatt’s in-house florists with your message of choice. Place: Enjoy an intimate setting with iconic views of the skyline accompanied by the starry skies – the perfect atmosphere for a romantic evening with a special someone. Go all out by surprising your date with a romantic staycation at the hotel. 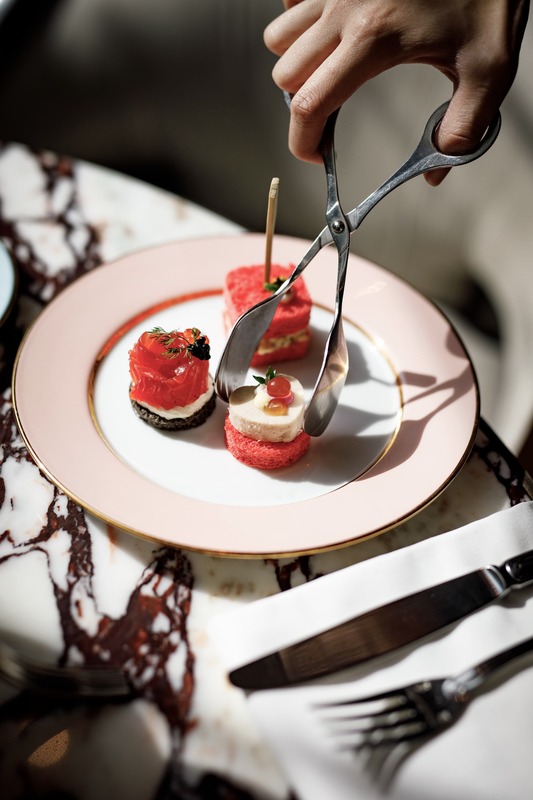 In the late 19th century, Caroline Astor who is the mother of John Jacob Astor IV, founder of The St. Regis, elevated the concept of afternoon tea to a new level by introducing this ‘ritual’ at dignified gatherings at her home in Manhattan. Similar concept has been brought over to this date with a special one happening on Valentines Day. Enjoy a concoction of sweet and savoury delights for a special and romantic afternoon with your loved one. Expect everything to have a tinge of red to represent the colour of love. Place: As you walk into St. Regis KL, feel the elegant vibe that captures your senses in an instance. Similarly, The Drawing Room carries the same majestic feeling with soft instrumental music and a relaxing scent that lingers in the space – makes for the perfect afternoon to be spent with the one that matters most.